Republican presidential candidate Donald Trump has faced backlash at home and abroad for his anti-Muslim rhetoric, and a 91-year-old woman in Idaho decided she'd take a stand against Trump, ABC News reports. "Grandma Louise" has been a patient of Dr. Fahim Rahim at the Idaho Kidney Institute for the last couple of years. 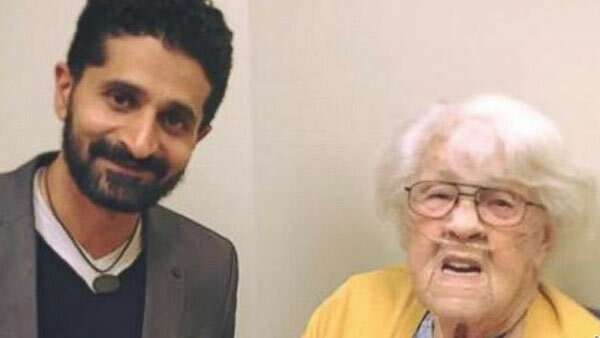 Last week, after Dr. Rahim was asked to "defend" himself as a Muslim and comment on Donald Trump's rhetoric on a local radio show, the 91-year-old Mormon woman, who was scheduled to see Dr. Rahim that Friday, gave him a set of stuffed animals she crocheted herself. Rahim, a first-generation American, moved to the U.S. in 1997 and said he had never faced persecution because of the color of his skin or his faith. "She has seen most of this country than any of us, including Mr. Trump...her message was love, humanity and humility," the nephrologist said, adding that "Grandma Louise" didn't even know who Trump was when she gave the doctor the stuffed animals. "That was kind of a very simple message." "That was a magical moment...I felt like I was to heal her but she came in and healed my wounds," Rahim told ABC News. The stuffed animals are a "symbol of unity and faith and how me stand together." Rahim received the stuffed animals two days before Trump proposed banning Muslims from entering the U.S. Despite the backlash, Trump has remained the front-runner in the Republican presidential field. The latest New York Times/CBS poll shows Trump leading his rivals, with 35 percent of GOP voters supporting Trump. "We have to understand that the majority of the people living in this country are like that 91-year-old woman," Rahim said. "This 91-year-old single-handedly has proven that no matter of how these forces do, no one will be able to destroy us or divide us."